Dealing with a complex king, this edited collection elucidates a monarch’s vision of Rome that deeply affected his political choices and cultural policy during the first half of the eighteenth-century. John V of Portugal became king in 1707 in a pivotal moment for the European balance of power. The Kingdom of Portugal was still demanding the same privileges as its powerful neighbours and the relation with Rome was considered a vehicle to obtain them. Arts and music had a special and unprecedented place in the king’s plans and this book approaches that dynamic from several interdisciplinary perspectives. The unifying thread across this book’s chapters remains the omnipresence of Rome as a paradigm on several levels: political, religious, intellectual, artistic, and musical. 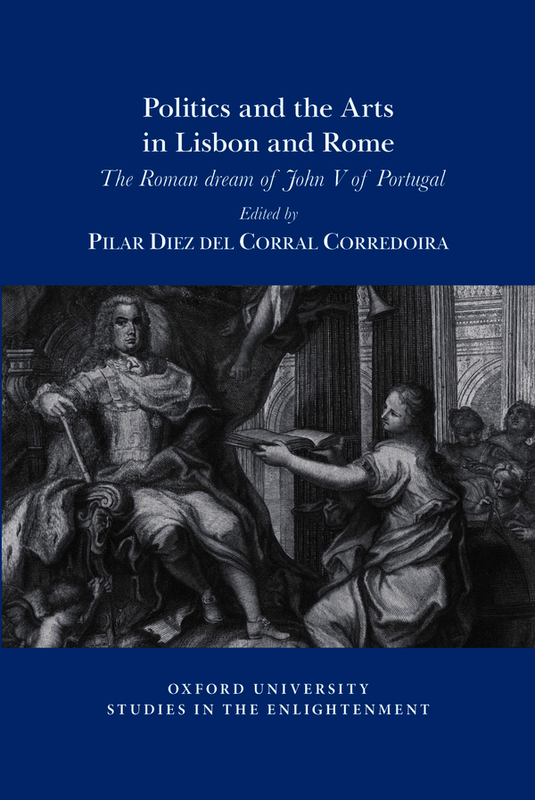 Rather than providing an exhaustive analysis of the period as a whole, this study offers a fresh approach for English readers to this classic, but little known, topic in Portuguese national historiography. Pilar Diez del Corral Corredoira is Ramón y Cajal Fellow based at the Art History department of the Universidad Nacional de Educación a Distancia (Madrid). She wrote a PhD on Classical Art and has widely published in international journals (The Burlington Magazine, Storia dell’Arte, etc). Her current research is focused on Iberian cultural identities, artistic mobility and diplomacy in Rome in the 18th Century.